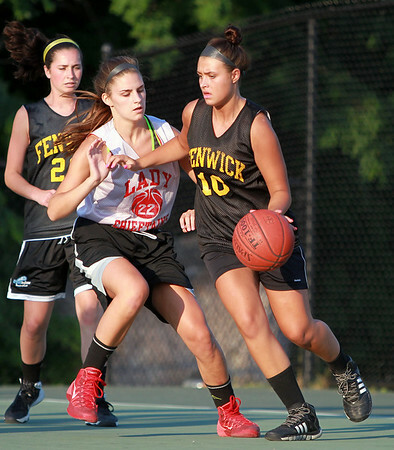 Bishop Fenwick rising senior captain Lexi Rose tries to dribble past a Masco defender on Monday evening. DAVID LE/Staff photo. 6/30/14.